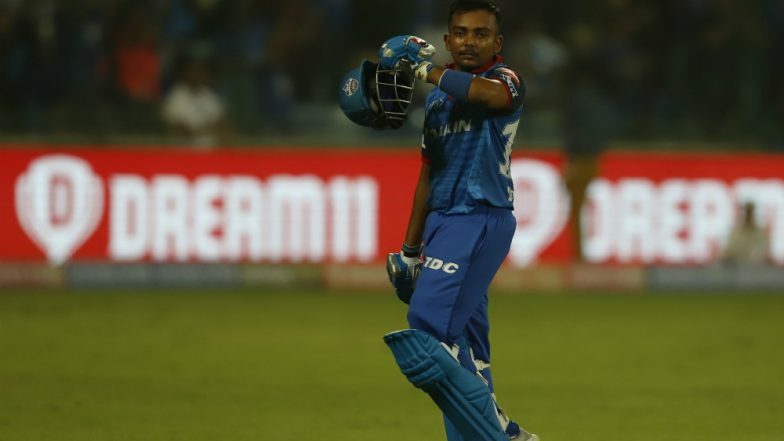 Delhi Capitals opener Prithvi Shaw saw a rare failure in Monday's game against Kings XI Punjab. The opener, who impressed everyone with his batting in the last match against Kolkata Knight Riders, failed to open his account in this match. Kings XI Punjab vs Delhi Capitals Live Cricket Score 13th T20 Match. In the last match, Prithvi Shaw played a scintillating knock but missed his century by just one run against the Kolkata Knight Riders (KKR) at the Feroz Shah Kotla stadium and registered his highest score in the Indian Premier League. James Anderson Shreds R Ashwin's Photo Into Pieces Over Spinner's Controversial Mankading Row Involving Jos Buttler! The Delhi Capitals opener was dismissed on 99. He scored the runs off just 55 balls with the help of 12 fours and 3 sixes. However, he failed to produce the magic tonight. Out of the six times that the two teams locked horn in Mohali, Kings XI Punjab has won five games and the remaining match was won by the Delhi Capitals. Out of the 22 matches played by both teams, Kings XI Punjab once again have an upper hand over the Capitals as Ravichandran Ashwin’s men have won 13 games and the remaining were won by the latter.